I have a problem with the BDR-15 3G. Not technical but mental. Well, I do not know for who this replica is made. Since I have been in contact with airsoft I constantly meet people who dress up as soldiers, partisans, bad guys or other bad asses. Who can you act out with the BDR-15 3G? A the world champion in sport shooting? OK... Yet, everyone play as they want. 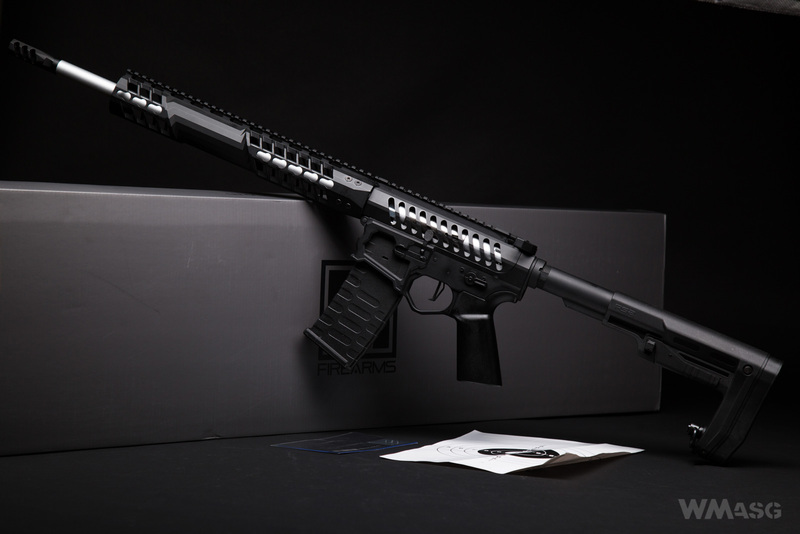 On the airsoft market, the EMG (Evike Manufacturing Group), a commercial brand of the well-known Evike store, was responsible for the creation of the replica. The manufacturing process itself was done by APS. 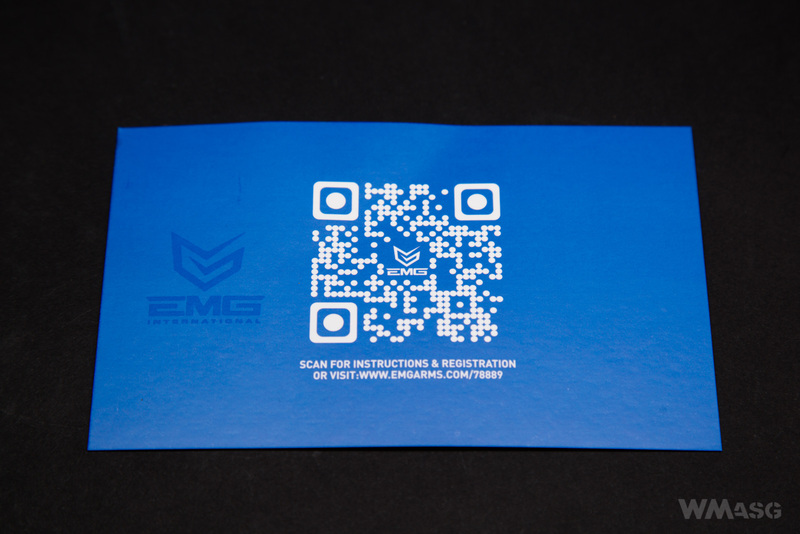 Included with the replica we get a Hi-Cap magazine holding 300 BBs and a "certificate of authenticity" with a hologram and a QR code for registration at the EMG website. 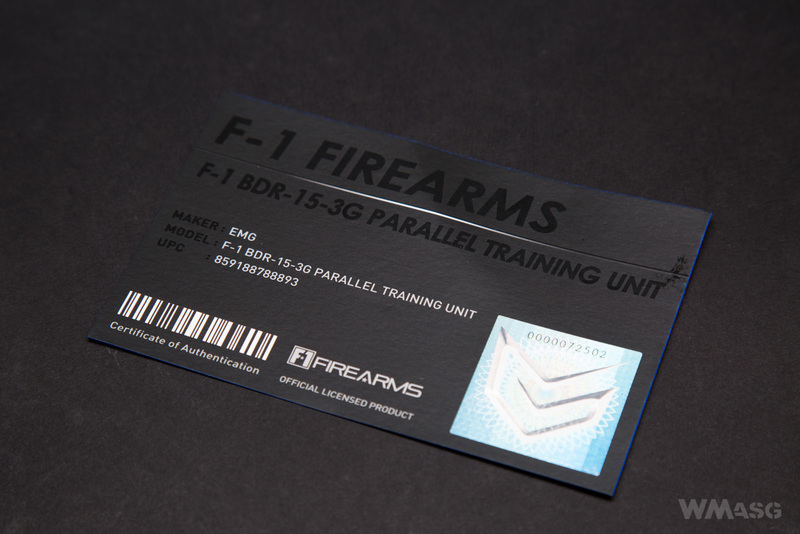 The BDR-15 3G belongs to the family of AR-15 replicas. The parts used in it are standard, there will be no problem with availability of spare parts in case of failure or upgrading. The replica is equipped with a mechanical blowback (EBB) system. The dummy bolt moves forward and back while shooting. It is directly driven by the piston. The shooting itself is pleasant, the blowback makes a nice noise. The HopUp system is adjusted like in all ARs. The knob is in the ejector port. During the adjustment, the dummy bolt can be locked in the rear position and then released by pressing the bolt catch. 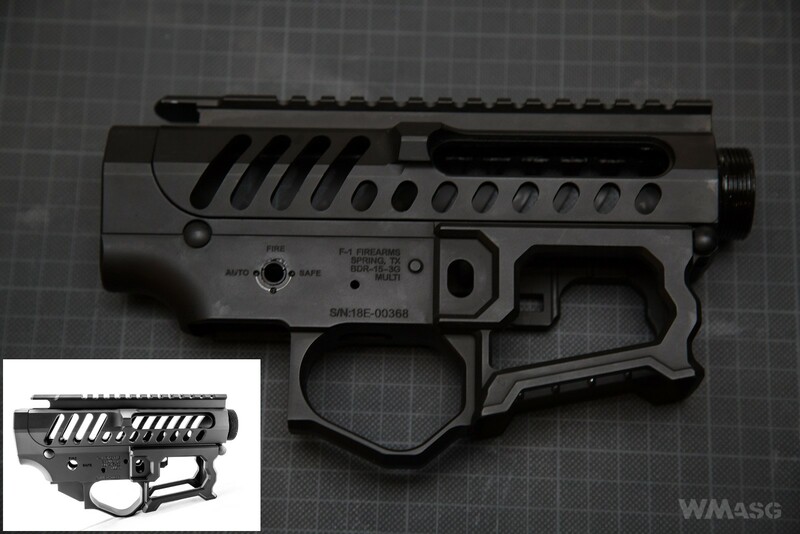 The place for the battery is provided in the buttstock guide. It is in fact quite small, no more than for a LiPo 11.1 V 1200 mAh. This good impression is spoiled a nit by the clearance between the upper and lower receiver, found also in other replicas of this type. The most distinctive feature of BDR is the openwork receiver from which all that could be was cut out. The receiver of the replica accurately reproduces the receiver of the real carbine in which only those fragments were left, which could not be easily removed. All this was done to reduce weight. On the thumbnail shows that rear rifle's receiver. 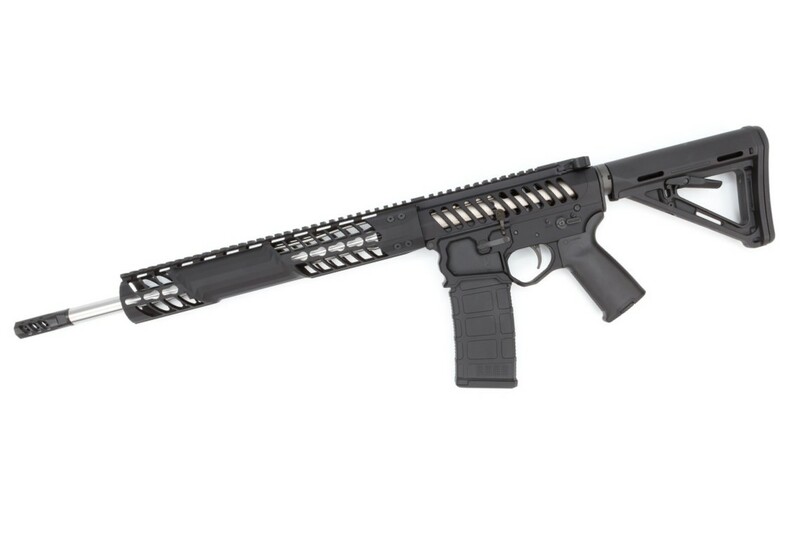 Another distinguishing feature is the C7K front made in the KeyMod system and the silver outer barrel. The BDR-15 3G replica is also distinguished by the lack of any aiming devices. Next page - the receiver, the front and the buttstock.